Glancing at their cars you would never believe that just a few days before they had been brand new. Or had ever been clean. What had once been gleaming paint with intricate Edwardian-era detail and miles of freshly polished chrome was now obscured beneath layers of mud. Tall, smooth fenders had given way to countless dents and dings from rocks and other flying debris. Their thin tires and ornate wooden wheels had started the tour well, but were soon useless on the country roads, taking a toll from the mud and deep wagon ruts. The drivers matched their automobiles in this regard. With their cars’ open air designs they had been exposed to the elements and were caked in dust. Luckily their goggles were still holding up – but they still had another two weeks to go! Who were these intrepid drivers? They were the members of the 1909 AAA Automotive Reliability Tour, or, as it is more commonly remembered, the Sixth Annual Glidden Tour. A test of vehicle endurance, performance, and driver stamina, the tour contestants had started their journey back in Detroit on a sunny July morning. Their destination was Kansas City, with the tour’s route specifically designed to prove to skeptical American buyers that automobiles were indeed a viable form of cross-country transportation. While previous tours had been widely heralded for their difficulty, AAA had upped-the-ante with this year’s route and scoring system, ensuring that 1909 would not be a year to forget. Like modern day visitors to the Twin Cities, the drivers of the Glidden Tour arrived in Minneapolis looking forward to a weekend off, taking in the sights and sounds of the emerging metropolis and getting some much needed rest and relaxation at the glamorous resorts of Lake Minnetonka. 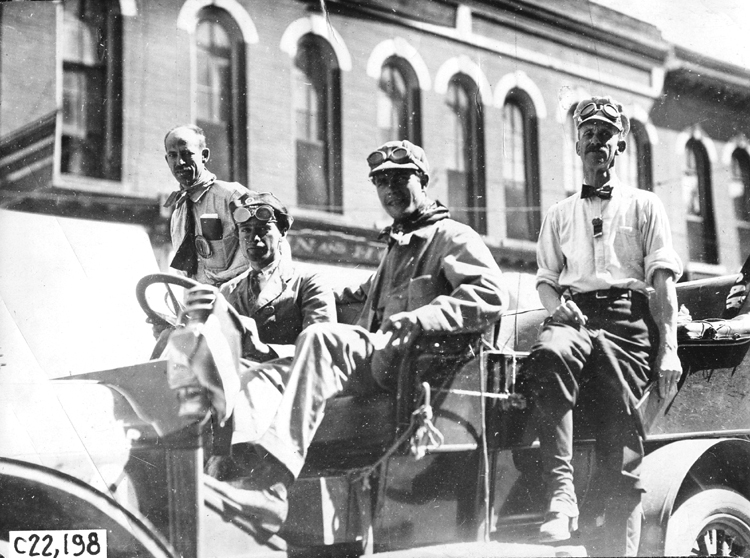 Unlike other races or automobile competitions, the goal of each Glidden Tour was not speed, but rather to test the reliability of each horseless carriage against the challenges of long-distance driving. Cars were expected to arrive at checkpoints on time, but primary penalties came in deductions from repairs made along the way. AAA sponsored the original Glidden Tours between 1904 and 1913 to help legitimize automobiles as a form of transportation and to help encourage the development of safe roads and highways. At the turn of the Twentieth Century, automobiles were struggling for acceptance by mainstream American culture. With no paved expressways between cities, let alone reliable maps or consistent regulations, cars were seen as nothing more than toys for the wealthy that should be restricted, if not entirely banned. The first tour proved itself to be a success and, thanks to a little help from Boston millionaire Charles Glidden, subsequent tours began to achieve national attention. An early advocate of car travel, Glidden had always passionately supported automobiles. His exploits to showcase their capabilities were renowned for being epic and included the first ever round-the-world trip in 1901. With his wife Laura at his side, the journey covered 46,528 miles through nearly forty countries. 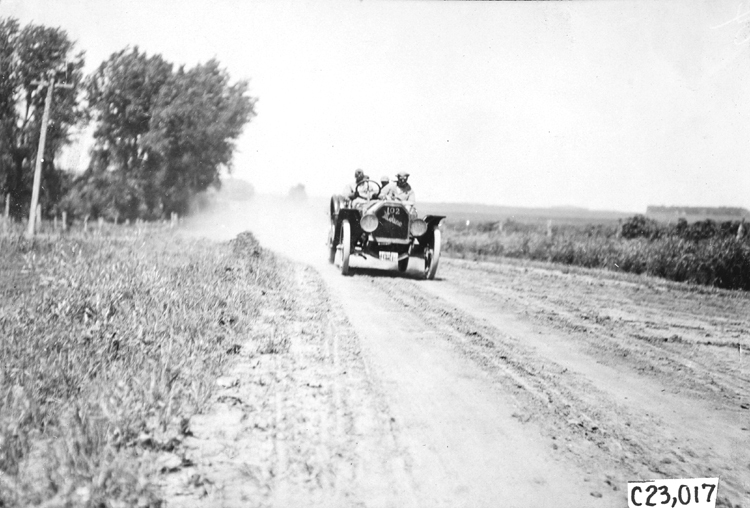 Glidden’s connection to the AAA Reliability Tours began in 1905 when, in addition to providing $2,000 and a one-of-a-kind trophy to the tour’s winner, he paid to repair roads, covered contestants’ toll fees and even compensated farmers who lost animals that were hit by drivers along the way. Since Glidden continued his financial support each year, the AAA eventually renamed the event in his honor. 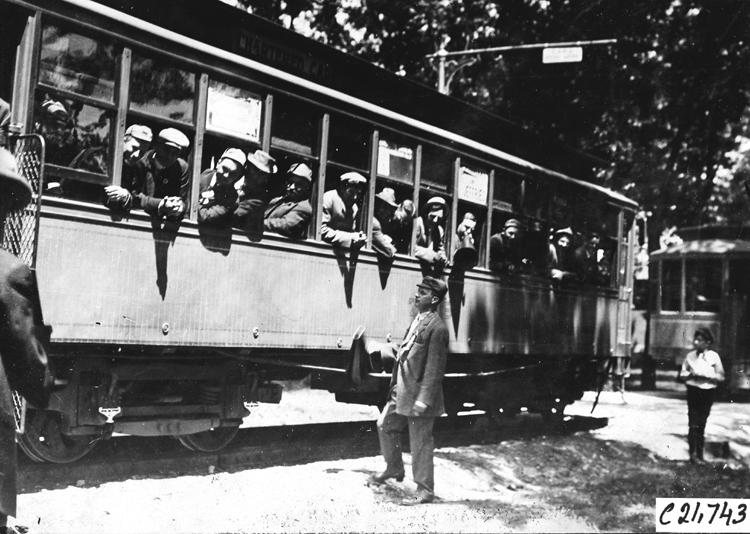 Compared to years past, the 1909 Glidden Tour was to be the longest and most trying for its drivers yet. From the winding hills of the Mississippi River Valley to the scorching heat and humidity of the Great Plains, drivers and their cars were pushed to their limits. Additionally, the 1909 tour saw the most rigid penalty rules the AAA had ever enforced. Observers in each car carefully recorded every spare part used, each quart of oil, and even kept track of the time spent on each repair. Penalty points were based on the cost of each repair and repair time, plus the amount of time required to complete each day’s run. Valleyfair and the Mall of America weren’t around in 1909, so the Glidden contestants basked in the beauty which was turn-of-the-century Lake Minnetonka when they weekened in Minnesota. 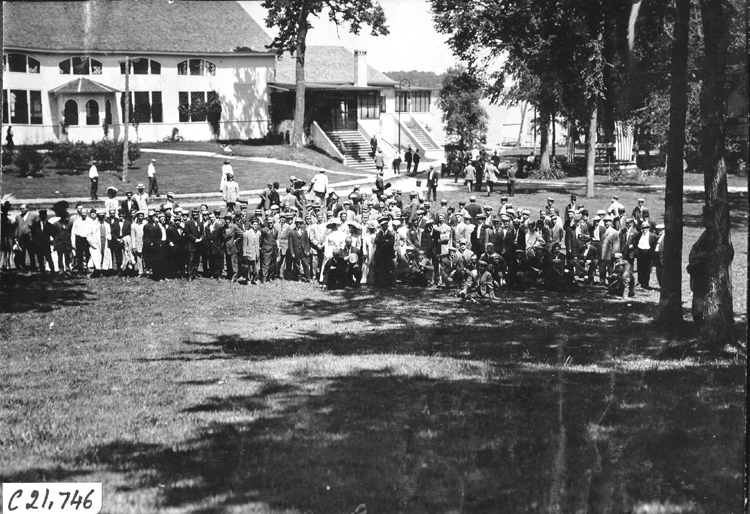 Since 1909 is often remembered as the apex of the Glidden Tours’ popularity, the Lake Minnetonka community fought long and hard to secure the coveted weekend stay. No other cities along the tour could boast a two-day layover, leaving other cities along the route to compete for less glamorous stays. Upon their arrival in Minneapolis, the contestants were treated like celebrities. On Saturday morning they were treated with streetcar rides to Minnehaha Falls and spent the afternoon at Fort Snelling, where military troops met them with a full-out dress parade, including mounted cavalry and artillery men. A reception was held shortly after at the Officer’s Club before the party moved on to an afternoon horse race featuring World Champion pacer Dan Patch. Saturday’s festivities concluded with an evening automobile parade with more than three-hundred participants, each car being “tastefully decorated,” according to local media. After Saturday’s primarily public and media-friendly activities, the Glidden contestants enjoyed some Sunday free time at the Tonka Bay Hotel on Lake Minnetonka. 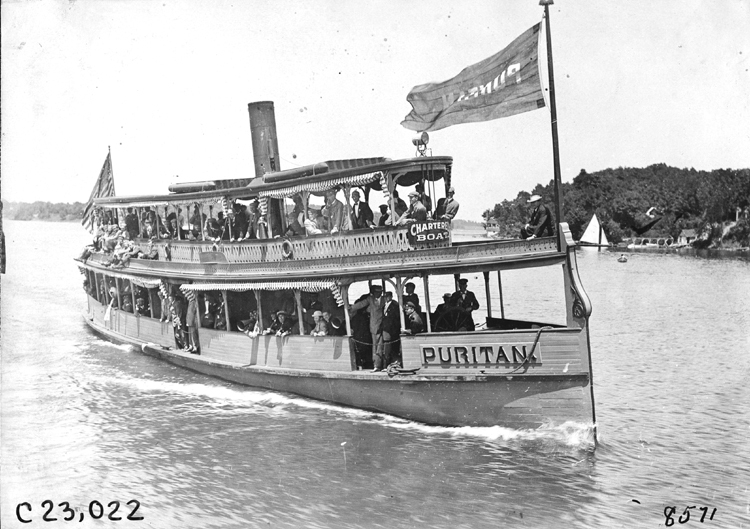 The TCRT excursion boats Plymouth and Puritan were hired for the afternoon to give tours of the lake before the drivers retired to the Lake Minnetonka Automobile Country Club for drinks and dinner. The start time for the next morning was scheduled for 8:00 a.m. so that “as many people of the city as possible” could see the cars off to their next destination, Mankato. The 1909 tour was not only significant because of the driver’s weekend stop at Lake Minnetonka, but also because it marked the “beginning of the end.” By 1909 automobiles had seen major traction in terms of acceptance with sales and usage becoming more widespread and mainstream. Race team entries began to drop following 1909’s tour, and thus only three more were held in 1910, 1911, and 1913. Minnesota once again played host to the last tour with a stop in Saint Cloud. After 1913, however, it was decided that the tours had fulfilled their purpose and that it was time the tradition be retired. But the Glidden Tour wasn’t gone for good! Revived in 1946 by the Veteran Motor Club of America, the spirit of the old tours continues to this day. Each year antique cars are again put to the test, albeit on smaller routes focused on specific metro areas. Now co-sponsored between the AAA, Veteran Motor Club of America, and the Antique Automobile Club of America on alternating years, the Glidden Revival Tour is the largest, most prestigious continually-held automobile tour in the world. As the spirit of the old tours continues to live on, today’s drivers are reminded that, when behind the wheel of a car, the world is at their fingertips. This entry was posted in History, Newsletter on November 18, 2013 by Steamboat Minnehaha.